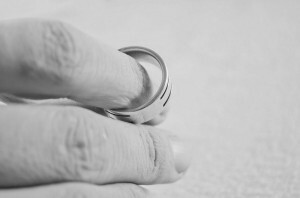 Can Filing for Divorce in NC be Completed without a Raleigh Attorney? Filing for a divorce in North Carolina is a relatively simple process that many people undertake without an attorney. Getting “divorced” is fairly easy if you are willing to take the time and pay attention to detail with your paperwork. Many county clerks offices and websites will sell you (or give you) the paperwork and instructions on how to do it yourself. You will have to prepare the paperwork, pay your filing and service fees, file and serve your documents, appear in Court at least once in most jurisdictions, and finalize the documentation. It is really no more difficult than getting a driver’s license, however if done incorrectly it may be refused by a Judge causing delays and additional trips to Court or possibly subjecting the divorce to being overturned later. Nonetheless, many people undertake divorce on their own, either because they wish to save money or because they believe they can work things out with their spouse as they go along. Sadly, this often proves to be a very expensive mistake as you will read later in this article. What is Required for a North Carolina Divorce? North Carolina requires a party seeking a divorce to allege that they are married, have been separated for at least twelve months with at least one party intending that separation to be permanent, and that the parties have not at any time since the date of separation resumed the marital relationship. In other words, you and your spouse must have been separated for at least 12 months and at least one of you have intended the separation to be permanent, and you must have remained separated. Do I Need Proof of Separation? North Carolina requires no “proof” beyond a verified or sworn statement making the required allegations which are usually made in the Divorce complaint. There is a misconception among many that one must have some sort of proof establishing a “legal separation date,” but that is not the case. If the other party disputes the accusations, then additional proof may be necessary. This rarely happens, but on occasion one party will file and “Answer to the Divorce Complaint” claiming the separation date was false or that they had resumed the marital relationship at some point during the separation period. In that event, the Court will hear evidence and decide based on the greater weight of the evidence. What is the Process for a North Carolina Divorce? The actual process begins with the drafting of a Divorce Complaint, where the Plaintiff (the asking/accusing party) alleges that the parties were married on a particular date, separated on a particular date (with the intent to remain separate), and did not resume the marital relationship. The separation date must be at least a year and a day before you file your divorce complaint. The Complaint must also allege the existence and status of any children from the marriage. Naturally, there is other technical language in the Complaint that must be alleged such as jurisdictional allegations and an appropriate prayer for relief, but these are the core elements of a divorce complaint. The complaint must be accompanied by a civil summons for the clerk of court to sign, and must be filed and served in the appropriate county. The other party may file an answer admitting or denying the allegations, or they may not, in which case the allegations will be deemed admitted. A hearing must still be calendared and noticed appropriately and if everything is in order, the Judge will grant your divorce. Attorney’s often make use of Motions for Summary Judgment or Divorces before the clerk in order to spare their client a trip to Court. If you are representing yourself, you will have to appear and testify in your divorce case as to the basic elements you alleged as outlined above. Finally, a Judgment must be signed by the Judge and file ordering your divorce, and a certificate of divorce prepared and filed for the record. The hardest part about getting divorced for most people is to understand the effect of that divorce, such as how you may be limiting or eliminating your ability to deal with other aspects of your end of your marriage such as support or property division. Once the divorce, if granted, if you do not have a pending claim for Post Separation Support, Alimony, and Equitable Distribution, or an Order or Separation Agreement fully resolving those issues, you will waive forever your right to have those issues adjudicated in Court. If you have a valid Separation Agreement and Property Settlement, you can file an action based upon that Agreement after a divorce if the other party violates its terms, but if that Agreement does not provide for a final resolution of support and property division, then you will be left without a remedy in divorce law. It is imperative to ask questions before you file for divorce. Filing for divorce can lead to the loss of untold thousands in property and support. In some cases an unexpected filing can cause your spouse to file counterclaims for Equitable Distribution and Alimony just to preserve them when a settlement could have been easily reached beforehand. If you are thinking of filing for a divorce, the Raleigh divorce attorneys at The Doyle Law Group, P.A. can make help you make informed decisions and avoid very costly mistakes. Just fill out the contact form on our website or call us at 919-301-8843 to get started. *This article is intended to provide a brief introduction to the divorce process, and is not intended as legal advice. The information contained within is for informational purposes only and is not meant to be relied on as legal advice or as the basis for decisions.